When we go out to eat, I often treat the entire meal as tapas. As a result, I’ll order a few things from the appetizer menu instead of a main course. 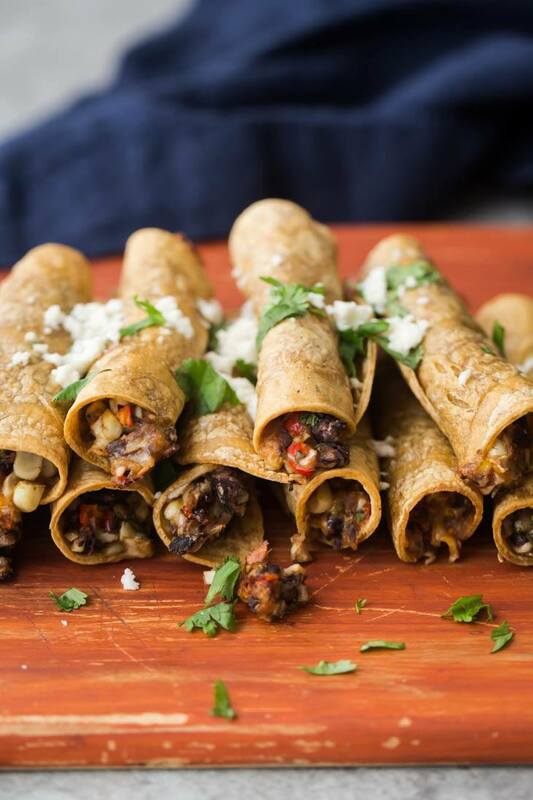 For example, these black bean taquitos could be the first course of a meal. However, I prefer to whip up a homemade margarita and pair these taquitos with a nice salad for dinner. Additionally, this recipe is great if you wanted to prep ahead of time. 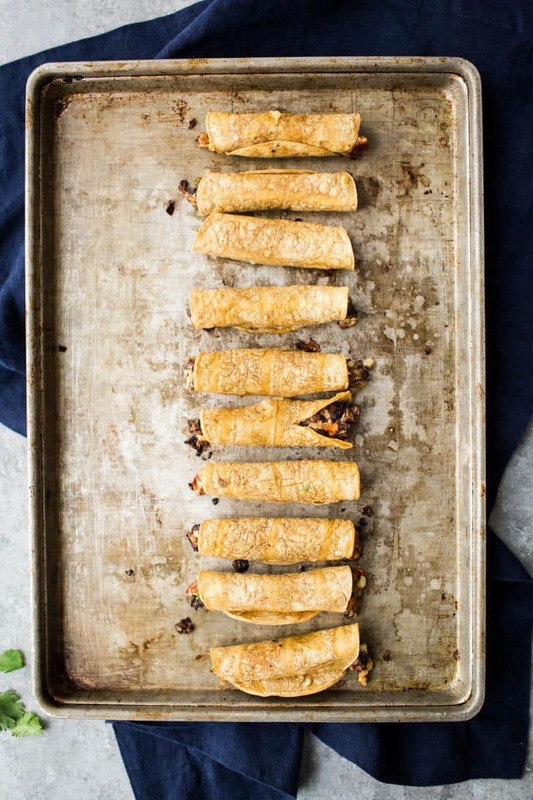 You can assemble these taquitos and freeze them until you want to eat them. Then, simply bake the black bean taquitos for a bit longer to account for thawing. 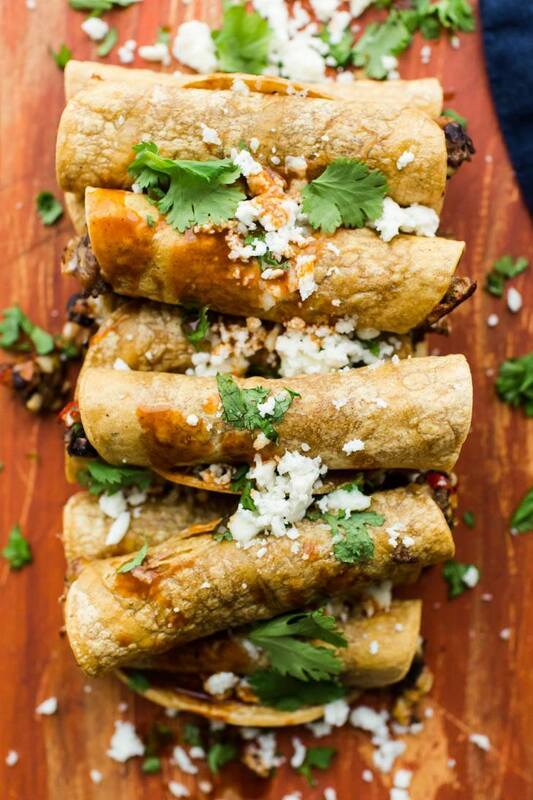 A perfect family-friendly snack or light dinner, these baked black bean taquitos are filling and delicious! In a food processor, combine black beans, sweet corn, pepper, onion, spices, cilantro, and cheese. Pulse three to four times until ingredients are slightly combined-this is just to chop slightly. Heat tortillas until pliable (good instructions here). Next, scoop 2 to 3 tablespoon of the filling onto the third of the tortilla closest to you. Roll the edge closest to you over the filling and tuck tightly. Then, continue to roll and place the taquito seam side down on a baking tray. Stick with a toothpick if necessary. Repeat with remaining filling. 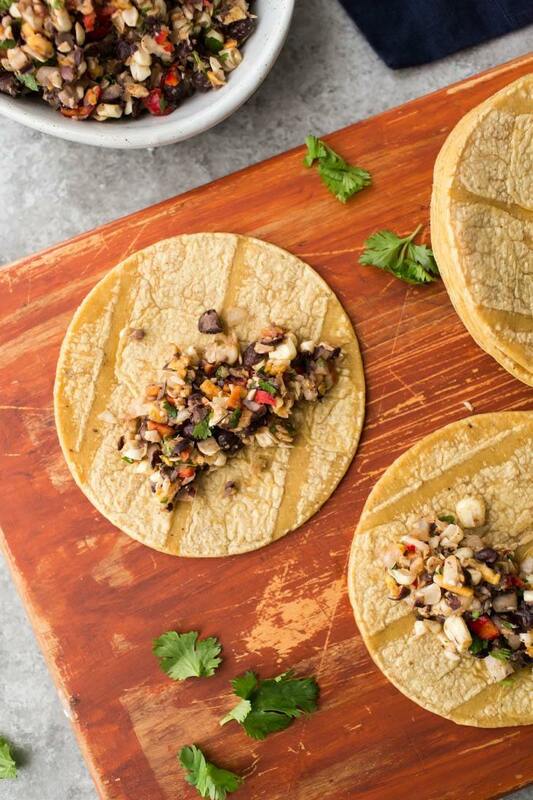 Brush with olive oil and bake for 18 to 22 minutes until tortillas are browning and crisp. Remove, top with cilantro and queso fresco, and serve. Tips & Tricks: To make these vegan, use your favorite vegan cheese or leave out the cheese. I usually use store bought tortillas to make black bean taquitos because they are easier to work with and less likely to crack. These are the ones I used for these photos. As mentioned above, these taquitos go well with many dishes. For example, you’ll find a few of my recommendations below. Also, if you want to bump up the spice factor, mix in spice with the taquitos or serve with your favorite hot sauce. Sides Roasted Tomato Salsa and/or Guacamole (these are both older recipes but still worth their weight). Hi Erin! I love that these are freezable. They’ll make an easy week night meal. Healthy too! Eating tapas style is the way to go! I really like getting to try a little bit of everything, plus it also makes it easy to share food. I have so much love for black beans and I know I would definitely eat these smothered in guacamole! Ooooh these are so fun and look absolutely scrumptious! I did go to Spain last year–tapas, tapas everywhere! These look so yummy and easy to make. A little dollop of guacamole and I’m set! Delish! These look amazing. I love black beans and cheese. Yum!! These are looking gorgeous, simply mouthwatering! I feel like I can devour these taquitos in seconds! I will surely try this and then try and make the vegan version as well. These guys look so good! Somehow I never think to work taquitos into our endless round of burritos and tacos and quesadillas and enchiladas. Must remedy this immediately! These look like little rolls of summer deliciousness. And I have all of the ingredients for these! Super excited to try these! I made these tonight and they were great! 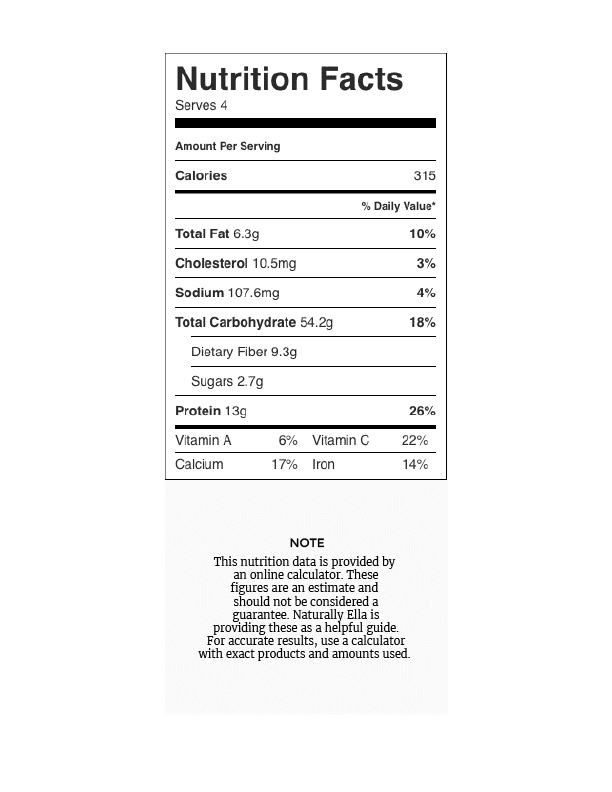 The only thing – my corn tortillas always fall apart! 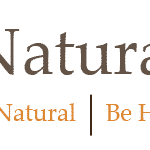 Do you have certain brands that work for you, or is homemade the best way? Love the recipe! These are actually the one recipe I don’t use homemade for but I love Mi Rancho tortillas. They are nice and pliable before heating up, which helps the process. 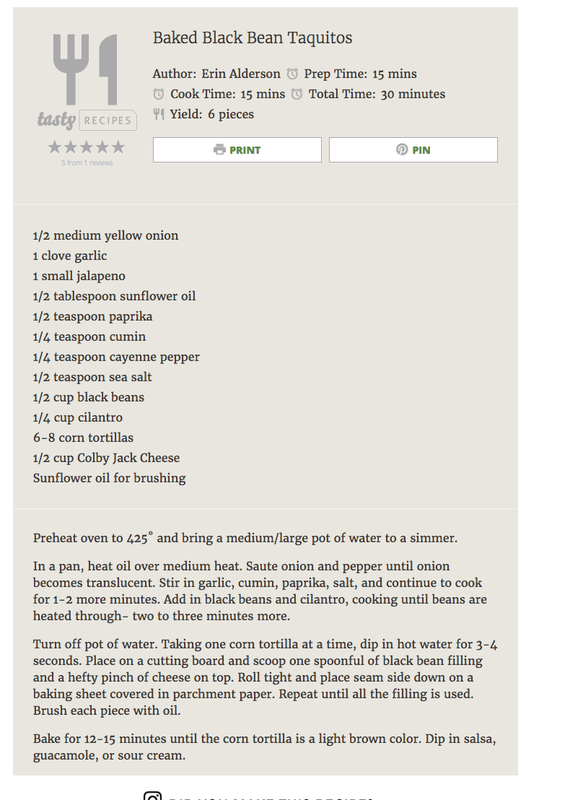 Just FYI, the recipe says it serves 10-12 taquitos, but the ingredient list only calls for 8 corn tortillas. Thank you. Ah- whoops! Definitely makes closer to a dozen! 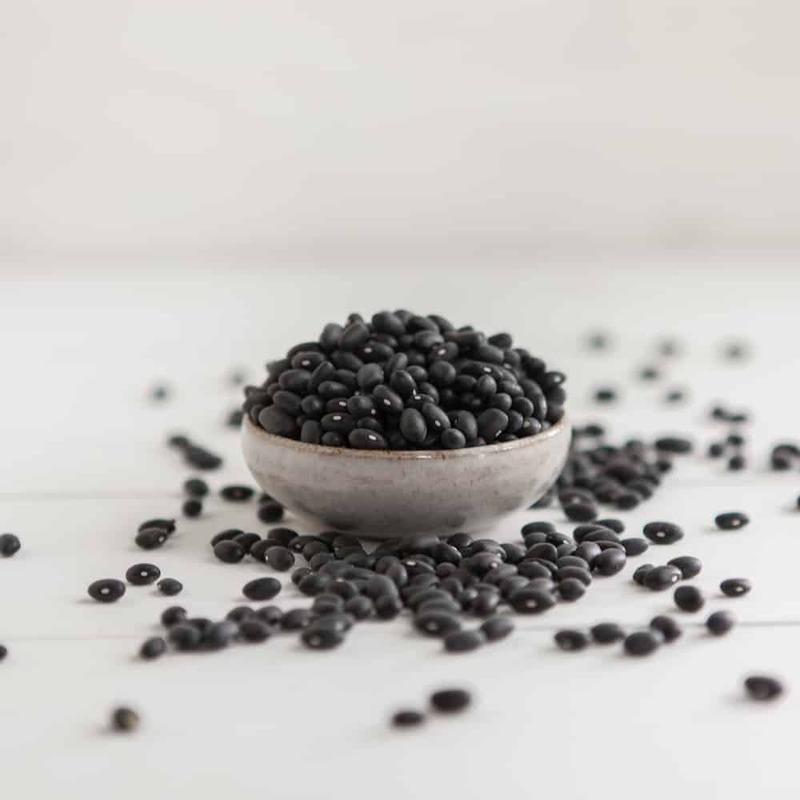 Do you think you could substitute 1/2 cup of cooked quinoa for the black beans? I love all beans, but my boyfriend does not! While I don’t think the filling would be the same texture, I don’t see why it wouldn’t work! Oh no! What happened to the original recipe? It was one of my all time favorites! I’m sure these are good too but I don’t like to mess with perfection! super yummy! I didn’t have corn so i subbed tomatoes/more beans/yellow peppers. I’m a vegetarian but my family eats meat and they LOVED them. they said it tasted like ground beef, even. So these look good but what happened to the other recipe you used to have? Ive been making these for years and always follow the same pinned recipe but maybe 2 years ago it brought up this recipe (and Im just now asking about it haha). The old one didnt have the corn and red pepper and stuff. I’m wondering if you know what I’m talking about and if so can I get that old one so I can write it down? Thanks, i’ll try these tonight though.